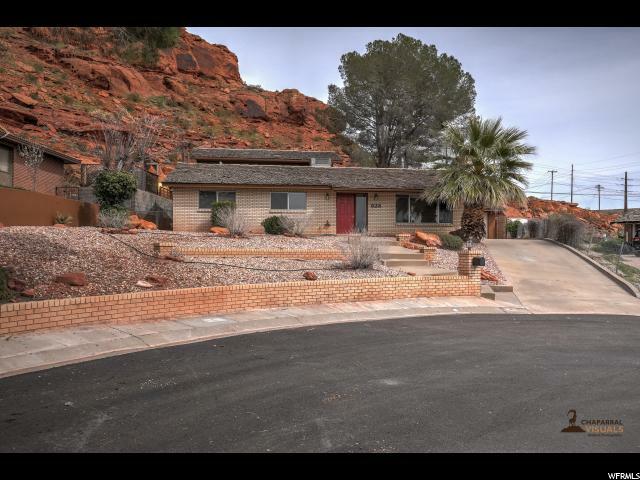 All RED CLIFF COUNTRY CL homes currently listed for sale in St. George as of 04/18/2019 are shown below. You can change the search criteria at any time by pressing the 'Change Search' button below. "Imagine making breakfast with view of beautiful but rugged Red Hill and preserve from a spacious home overlooking Red Hills golf course! Hiking just steps from your back patio. Placing your toes on new carpet. Breathing in the aroma of fresh paint. 1 minute from restaurants, shopping, theaters and trails. All from the peace, quiet and safety of a cul-de-sac! Schedule your private showing today"